Racing Victoria stewards have charged trainer Clive Balfour with alleged raceday treatment of a runner at Moe in November last year. 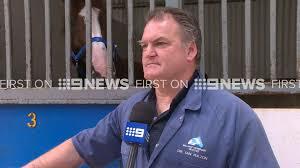 Stewards charged Balfour with breaching the raceday treatment rule when he allegedly administered or caused to be administered “Racing Oil” orally to Alsimon before the horse competed in a Benchmark 58 Handicap. Ranvet’s Racing Oil product sheet says the substance “spares glycogen use, reducing the formation of lactic acid” in horses when racing. The product statement also declares Racing Oil “provides sufficient energy for performance, particularly for endurance work”. The Racing Appeals and Disciplinary Board will hear the case on a date to be fixed.